A New Zealand website written by doctors and other health professionals. It covers a wide range of health topics. A UK based website which has easy to read PDF style patient information leaflets covering a wide range of health topics. Some information may be peculiar to the UK health system. This website was designed by NZ dermatologists and outlines a wide range of skin, hair and nail conditions. The NZ immunisation schedule, with links to the immunisation handbook in PDF format. The website of the National Screening Unit has information about various screening programmes in NZ. These include cervical screening, mammogram (breast) screening, antenatal screening, the heelprick newborn test and the newborn hearing screening. This site edited by a Canadian Psychiatrist is an excellent starting point for more detailed reading on a wide variety of mental health issues. Travel- The Centre for Disease Control. This is a really useful site for travellers by The Centre For Disease Control. Check out the areas you are going to under “destinations”. This provides detailed overviews of recommended vaccinations and malaria prevention. This one is a mental health page called 1737 – Anyone can ring or text for support in times of need. Thinking about stopping smoking? That’s great. It’s good for your health, your wallet, and your family. But most importantly, it’s great for you. This nonprofit, charitable organisation promotes the quality of life and well-being of older people. Their website lists nationwide centres and services, highlights current affairs and government policy relating to older people, and provides many resources including their newpaper, Positive Living. It offers opportunity for e-mail feedback. The site provides links to many related websites. Age Concern runs several projects, outlined on the website. Although this is an Auckland AA site, contacts for centres throughout NZ are given plus a 24 hour 0800 telephone contact. The site offers background about the AA organisation, provides all meeting details within Auckland, and links to many resources. The Arthritis Foundation of NZ is a voluntary organisation and the site offers comprehensive information on treatments to ease symptoms of arthritis. The site includes contacts throughout NZ; a special youth section including a forum section; links to arthritis information sites and a e-mail feedback option. As a charitable organisation, it includes information on fundraising. The Asthma and Respiratory Foundation of New Zealand (Inc.) aims to help people with asthma and respiratory conditions. Their website offers extensive resources; recent research and news, comprehensive information on the condition; and a novel “kids page”. Nationwide support groups are listed. Barnardos children’s charity aims to help New Zealand children reach their full potential. They offer a variety of childcare services, and protection for children at risk. Their website offers information on the organisation, its childcare services and research and offers links to other support groups. The site outlines how to become a caregiver, and how to make donations. Resources and subscription are also available. Diabetes affects over 200,000 New Zealanders. This website contains resources, information and guidelines that can help. It includes a separate kid’s section. The FADE website has sections on health and safety in the workplace and training for teachers; FAQ; an ordering system for a variety of resources; describes various drugs, their effects and risks; news and links; membership options and a novel debating section. The National Heart Foundation has resources around cardiovascular disease. It includes patient resources, and healthy heart guidelines and publications. The NZ Herpes Foundation website provides information on this condition, its treatment and advice. Its news section includes FAQ, current research and personal stories. The site offers a free information pack to be posted on request; gives links to several other sites and provides a reading list. There is an e-mail address for contact as well as lists of sexual health clinics and support groups throughout NZ. This Auckland based charity foundation’s site has exhaustive information on the condition and provides recent research, events and news.It gives links to other MS sites; contacts for donations and volunteers; personal perspectives on the condition; has a kids page; and has an email, message board and feedback section. The Association is run by those affected by Muscular Dystrophy and related Neuromuscular Conditions to provide accurate, comprehensive and up-to-date information, advice, on the condition.The site provides contact information including an e-mail address and 0800 number; links to articles in their “In touch” newsletter; and a donation section. Order of St John operates emergency ambulance services, provides first aid training, and community services for sick and suffering. The site lists and describes all available training courses; outlines charges, subscriptions and how to make donations; and the history of the Order. 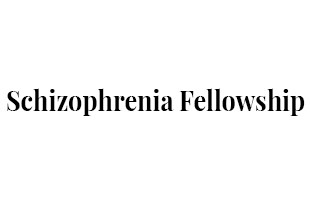 The Fellowship is a voluntary organisation helping people cope with schizophrenia and related disorders.The site has contacts for 18 NZ branches, including e-mail addresses; links to many international sites; a FAQ section; and a section on Family Rights. All available resources are listed and their newsletter is online. They have a press section, listing recent media attention on the condition. This is a nonprofit foundation to help people with a stroke and their families and caregivers, by providing information, support and rehabilitation.The site has sections on how to understand and prevent strokes including a self-assessment chart. The pages for health professionals includes links to medical websites and resources. There are contacts for 4 national offices, including an 0800 number and e-mail addresses. There is a section for resources and donations. Developed by health professionals and volunteers, Health Navigator NZ is your front door to trusted health and self-help information for all New Zealanders. With so much information online, finding reliable information when you need it, is not so easy. This website links you to the best resources from NZ health organisations and beyond. Women’s Refuge is New Zealand’s most significant domestic violence organisation. If you are living in fear in your relationship or in your family, or know someone who is, there are so many ways we can help you right now. We warmly welcome all women of New Zealand and their children to our free advice, emergency accommodation and confidential advocacy services provided by women.